I have a mouse attached on Q68, Q60, QXL, TT030+QVME, SGC Aurora + Superhermes, ICE Mouse and BBQL with QIMI. Also Emulators as well. But I prefer to use the keyboard with Hotkeys and ALT keys. I have some QIMI interfaces with broken pins, which I will make available when repaired. This is an example of optical serial mouse. I don't know if it works with QL. I used Albin Hessler's serial mouse software. I built an adapter that converted the PC serial mouse to work on the QL serial port. I had a logitech trackball mouse. I used mostly Qascade for starting applications and used MicroEmacs a lot, which was PE enabled. I voted no although both my real QL (SuperQBoard) and my Q68 have one. I just never use them! And that's the crux of the question. Not do you have a mouse, but do you use a mouse? Dave wrote: And that's the crux of the question. Not do you have a mouse, but do you use a mouse? Indeed, that is why my poll was "Do you use a Mouse on your QL". Figured many may own one but never use it. Then elaborate on what they use it for. Artificer wrote: The Q68 which I have has a PS2 mouse connection but I found that a modern PS2 mouse did not work with it and am using an old USB mouse from Tesco with a USB to serial adapter which works perfectly. Just for clarification: In principle, all PS/2 mice or USB+PS/2 combo mice, with or without wheel, old or new, should work with the Q68. Problems are very rare. One case turned out a half-defective mouse, which worked on one PC but failed on others. The Q68 starts up much faster than a PC, so in another case, a mouse powered up too slow. But PS/2 mice are cheap and easy to get. So deep investigations are probably not worth the time. On original QLs, I do not use mice, just on Q60 and Q68. I simply can not type well on on the QL keyboard. Consequently I spend so little time that cursor keys are sufficient. I have a mouse of some type on all my systems, and unless I am specifically using or testing a non-mouse driven program I always connect and use the mouse as most of the programs I use day-to-day are all pointer driven. I hate trying to use the cursor keys to control pointer driven software. My system of choice is QPC2 on a PC, but have 2 QLs and an Aurora system, which are not permanently set up due to lack of space. One QL has a QIMI interface with Atari-style mouse. I use a QIMI mouse on the Aurora. The second QL has a SERmouse, but I have mislaid the adaptor cable so is currently not in use. Wasn't always that way. My introduction to pointer environment in the days of QRAM and then QPAC2 did not go smoothly, for a long time I preferred keyboard use on QL and it was largely only thanks to people like Norman Dunbar that I gradually became a convert to using a mouse. 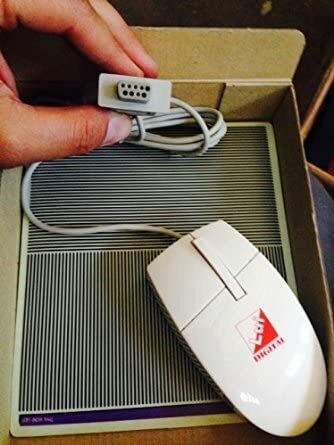 I hate to admit it, but moving from an old DOS PC to Windoze at work was also a factor in becoming a convert to using QL mice as I became more and more used to a mouse on the PC.